We recommend that you remove and discontinue use of the Revel apps. You can use the Revel Downloader to download your assets until May 24, 2016, which will be the last day customers can download of all their Revel photos and videos. 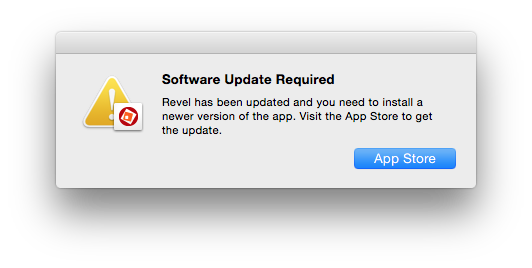 You encounter “Software Update Required” every time you launch Revel. 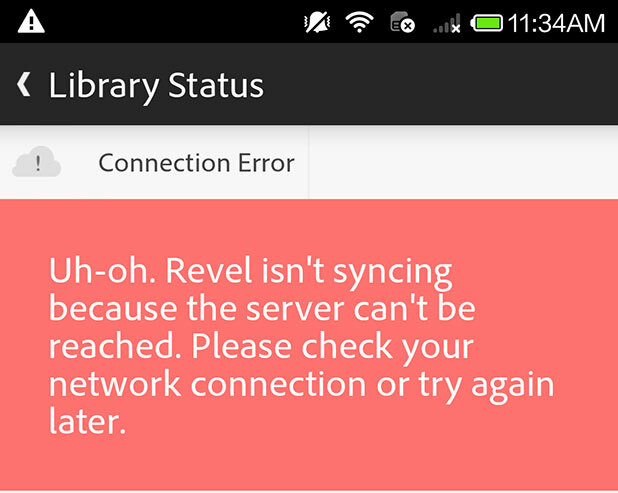 Revel app is off network and you encounter an "Connection Error." You encounter an error "Could not start trial” when logging in. Issue: You encounter an "Connection Error" when trying to upload images to Revel. Issue: You encounter “Software Update Required” every time you launch Revel. Clicking on [App Store] does nothing. Issue: You are redirected to another page explaining the Revel transition and how to download your images. Issue: When saving an edited file from Revel, you encounter “The image has been successfully saved to Adobe Revel.” The saved image can be seen in Revel library in the app, however the edited image is not on AdobeRevel.com. Issue: When saving an edited file from Revel, you encounter a message “Saving to Revel” however the edited image is not saved locally nor on AdobeRevel.com. Issue: The UI to upload to Adobe Revel is no longer present in the Elements Organizer.